Before Israel was chosen as the Jewish homeland, Britain offered part of Uganda to Theodore Herzl’s Zionist group in 1903. This did not eventuate but somehow a resilient Jewish community still came into existence on a dusty, hilltop town in Uganda. KIM HARRISBERG spent a Shabbat with the Abayudaya community. I am sitting alongside Rabbi Gershom as he analyses the sharpness of a blade being presented to him by the shochet (slaughterer) of the community. According to the laws of kashrut, the blade being used to slaughter the animal needs to be impeccably sharpened and scratch-free. I have learnt about these customs before, being raised in a Jewish, South African community for most of my life. But I am far from home now as I sit with Rabbi Gershom in the remote town of Mbale in the east of Uganda. He is the leader of a community with a very interesting story. There are around 14 million Jews in the world, with around 1,500 living in and around Mbale. They are called ‘Abayudaya’ which is Lugandan for ‘Tribes of Judah’. Despite this title, they are not descendants of the lost tribes of Judah. These are an elected group of converts or descendants from the original convert in Uganda, Semei Kakungulu, who “discovered the voice of God” through reading the Old Testament in 1919. A six-month visit to the community in the 1920s by a young, European Jew meant that the Jewish festivals and customs were taught and retained until now. Kakungulu’s discovery survived through the tyranny of the self-appointed president, Idi Amin, who declared Islam as the official state religion in 1971 despite majority of the country being Christian. 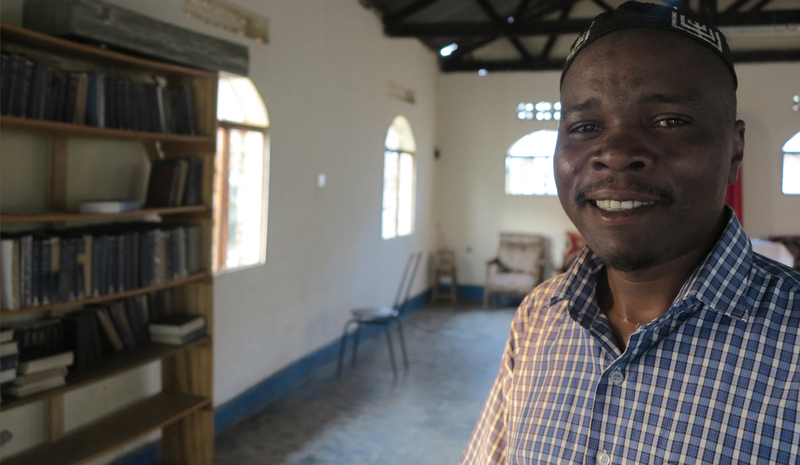 Amin was unable to cease Christianity all together, but he was able to illegalise Judaism, a small minority in the Ugandan population. The community became clandestine, practicing customs in secret after their synagogues had been destroyed. Before this underlying fear, the community had grown to almost 8,000 members when Kakungulu was still alive. “After his death, the community diminished, both due to lack of strong leadership and growing anti-Semitism that grew from the community members’ resistance to integration. “But Amin was overthrown in 1979 on the morning of Pesach,” says Gershom. He is referring to the Jewish festival also known as “Passover” when Jews eat matzah (thin crackers) instead of bread as a reminder of what the Jews ate during the exodus from Egypt. After fighting to re-attain the land that once belonged to Kakungulu, Gershom and the remainder of the community returned to the land in 1992, making use of Torahs sent from America as the congregation continued to grow. But, in 2002, the American and Israeli Beth Din (members of the Rabbinical court) arrived in Mbale to clarify whether the Abayudaya were Jewish according to the strict rules of Halakha (Jewish law). The following year, Gershom travelled with his family to Los Angeles to attend the Ziegler School of Rabbinic Studies at the American Jewish University in California. In 2005 and 2006, they travelled to the Jewish homeland, Israel, to allow Gershom to complete his training as a Conservative Rabbi. “It was wonderful to arrive in Israel,” says Gershom. It must have offered a stark contrast to Mbale. In Israel, Gershom was now surrounded by Kosher food, Hebrew writing and many, many Jews. He interrupts his story to lead us towards the slaughter area. “We will eat this goat tonight in honour of my youngest daughter’s third birthday,” says Gershom. I admit that I have been vegetarian for six years, to which he responds with a shrug and a smile, pointing us in the direction of the slaughter. Three men hold the goat on the ground, their hands binding its feet together. The shochet exposes the neck by pulling the goat’s head back towards the ground. The now-sharpened blade slices quickly through its flesh, with the dark blood spilling onto the sand like spilled milk. They tie his legs to the Acacia tree, with the open flesh dripping the remaining blood towards the ground. The children of the Abayudaya community attend separate Jewish schools to the rest of the children. Without needing prompting, Gershom speaks about the gay community in Uganda, a subject of contention since President Museveni recently outlawed homosexuality in the country. Later in the day, when the guests and community members trickle into the small synagogue for the Shabbat ceremony, I see the union of African beliefs and Judaism once again. I smile when I find myself singing along to the Jewish songs I was taught from a young age. The words, tune and rhythm are completely identical. And then the djembe drums come out. So does the guitar and the tambourine. Soon, the songs are being sung in a mixture of Luganda, English and Hebrew.